For Americans, the crux of gun control laws has been how to disarm dangerous individuals without disarming the public at large. Ever-present in this quest is the question of how the perception of danger should impact guaranteed freedoms protected within the Bill of Rights. This line of thought is not new to American politics. 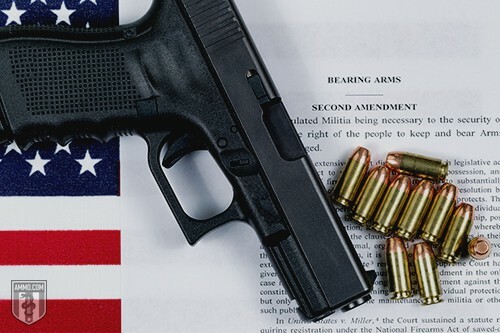 From the emancipation of enslaved Americans and the organized crime wave of the 1930s to the assassinations of prominent leaders in the 1960s and the attempted assassination of President Reagan in the 1980s, fear has proved a powerful catalyst for appeals about gun control. Below is an overview of the history behind major gun control laws in the federal government, capturing how we’ve gone from the Founding Fathers’ America of the New World to the United States of the 21st century. The right to bear arms was second only to the first – the most vital freedoms of religion, speech, the press, the right to assemble and the right to petition government for redress of grievances. Meanwhile, conflicting views have left government and personal interest groups struggling to reconcile technological advances, isolated but significant violent anomalies and the constitutional mandate protecting the natural right to self defense and this most basic aspect of the Bill of Rights. The U.S. Congress passed the Militia Acts of 1792 less than a year after the Second Amendment’s ratification. The first act’s purpose was “to provide for the National Defence, by establishing an Uniform Militia throughout the United States.” This measure established the need and command structure for a state-based militia. The second act defined conscription parameters for those militias, limiting armed service to “each and every free able-bodied white male citizen” 18 to 45. The earliest came from Virginia, the result of fear of attack by Native Americans. The 1619 law imposed a three-shilling fine on able-bodied men who failed to come armed to church on the Sabbath. By 1640, slave codes in Virginia prohibited all “free Mulattos, Negroes and Indians” from bearing arms. In 1712, South Carolina enacted a similar law. Throughout the Antebellum South, Louisiana, Florida, Maryland, Georgia, North Carolina, Mississippi and even Delaware all passed multiple measures denying guns to people of color, requiring court-issued permits, and allowing search and seizure of weapons as well as punishment without trial. Often overlooked, the Militia Act of 1862 was highly significant because for the first time, a U.S. government in wartime need called upon "persons of African descent" for military or naval service. Granted, the soldiers were paid less than their white compatriots and were at first primarily laborers. However, the act guaranteed freedom for soldiers and their families in exchange for service. By late October, black Union regiments raised from Kansas, Louisiana and the South Carolina Sea Islands were in the field. President Lincoln signed the Emancipation Proclamation on January 1, 1863, and in May of that year, the War Department established the Bureau of Colored Troops, which would represent nearly 185,000 soldiers during the Civil War. Even as 1863’s Emancipation Proclamation freed all slaves within the United States, racially biased gun control continued through Black Codes in states like Mississippi, Louisiana and Alabama. Internationally, the Paris Anti-Slavery Conference of 1867 condemned the practices, highlighting that in “the States,” even “freedmen” were “forbidden to own or bear fire-arms, and thus were rendered defenceless against assault.” Congress abolished this discriminatory gun control with the most controversial of the three Reconstruction Amendments. While the Thirteenth abolished slavery and the 15th forbade racial discrimination in elections, the Fourteenth Amendment provided “to any person within its jurisdiction the equal protection of the laws.” Finally, the Fourteenth guaranteed all Americans, regardless of color or appearance, their Second Amendment right to bear arms. Originally founded to improve the marksmanship and firearms skills found lacking in troops during the Civil War, the National Rifle Association (NRA) sought to “promote and encourage rifle shooting on a scientific basis." Since then, it has become a complex organization, with its own Legislative Affairs Division, Institute for Legislative Action, Political Victory Fund and NRA Foundation as well as numerous publications. 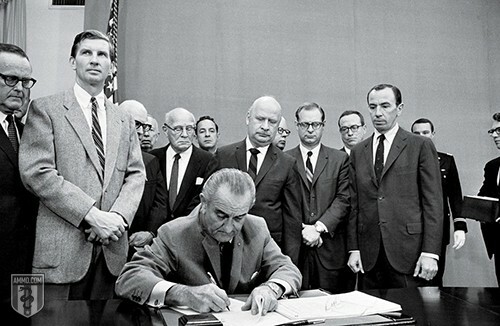 As “America's longest-standing civil rights organization,” the NRA is a “diligent [protector] of the Second Amendment.” It actively supported the National Firearms Act of 1934 and Federal Firearms Act of 1938, supported portions of the Gun Control Act of 1968 and was instrumental to the Firearms Owners Protection Act. It opposed renewal of the 1994 Assault Weapons Ban and backed 2005’s Protection of Lawful Commerce in Arms Act and 2006’s Disaster Recovery Personal Protection Act, which became part of 2007's Department of Homeland Security Appropriations Act. In 2013, it opposed expansion of the Undetectable Firearms Act of 1988. The NRA has also been an active protector of the Second Amendment in numerous legal cases involving gun owners’ rights, including 2010’s landmark Supreme Court case McDonald v. Chicago. Importers, manufacturers and dealers register and pay an annual tax: $500 for importers and manufacturers, $300 for pawnbrokers and $200 for dealers. Transferors pay a $200 tax per transaction. Intended recipients complete an application and submit identification, including fingerprints and a photograph. Importers, manufacturers and dealers maintain records of all transactions. All transfers as well as all previously owned firearms be registered, including the firearm’s identifying marks; the owner’s name, address and place of employment; and where the gun was to be kept. Any violation of the act be subject to a $2,000 fine and up to five years in prison. The National Firearms Act has not been updated since, and importers, manufacturers, dealers and buyers still pay the same fees. Accounting for inflation, the $200 transaction tax would now be the equivalent of more than $3,500, and the $2,000 fine would be more than $35,000. Only dealers or manufacturers possessing a license could transport, ship or receive firearms or ammunition in interstate or foreign commerce. The license was $25 per manufacturer and $1 for dealers. Dealers and manufacturers could not ship or transport firearms to anyone under indictment, convicted of a crime or considered a fugitive from justice. Trade in stolen firearms or guns that have had the manufacturer’s serial numbers removed was illegal. Three decades passed. Then, over five years, four major assassinations took their toll: President John F. Kennedy; racial activists Malcolm X and Rev. Dr. Martin Luther King, Jr.; and Senator Robert F. Kennedy. 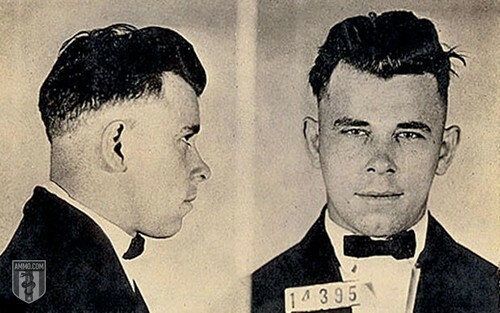 As for the assassins, Lee Harvey Oswald had purchased his rifle through a popular mail order company under an alias, Talmadge Hayer had a criminal history of stolen guns, James Earl Ray was an escaped convict, and Sirhan Sirhan had purchased his unregistered handgun from a private individual. The response was a major overhaul of restrictions on how guns could be bought and sold. Mandated licensing for all importers, manufacturers and dealers of firearms and ammunition involved in interstate or foreign arms commerce, and set license fees for “destructive devices” at $1,000 a year. Prohibited using falsified information to acquire a firearm. Set the general purchase age for handguns and handgun ammunition at 21. Prohibited dealers and manufacturers from selling firearms to indicted or convicted individuals, fugitives from justice, drug addicts and mentally incompetent individuals. Required registration of all firearms with the National Firearms Registration and Transfer Record. Prohibited the possession of firearms on which the serial number has been altered, obliterated or removed. Controlled containers, markings and chains of custody for shipped firearms, eliminating mail order delivery to unlicensed individuals. Made the manufacture and importation of armor-piercing ammunition illegal; the only exceptions are for governmental use, authorized testing and export. Established an annual $1,000 license fee for armor-piercing ammunition manufacturers and importers and the government’s right to revoke that license for violations of the law. Required special markings and packaging for armor-piercing ammunition. Mandated five years in prison without suspension, probation or parole for individuals possessing armor-piercing ammunition and a firearm while committing a violent crime. The use of lightweight yet durable polymers in the popular and reliable Glock 17 – a “plastic” semi-automatic pistol – first raised security concerns about the possibility of mass-produced guns passing through metal detectors unnoticed. In response, President Ronald Reagan signed Public Law 100-649 prohibiting all firearms that are not detectable by walk-through metal detectors – that are less than 3.7-percent steel. It also banned firearms with major components that fail to “generate an image that accurately depicts the shape of the component” on standard airport imaging technology. Originally passed for a 10-year term, the act was extended in 1998, 2003 and – most recently – 2013 for another 10-year term as Public Law 113-57. In 1981, John Hinckley, Jr.’s attempt to assassinate President Ronald Reagan first injured Reagan’s press secretary, James Brady. 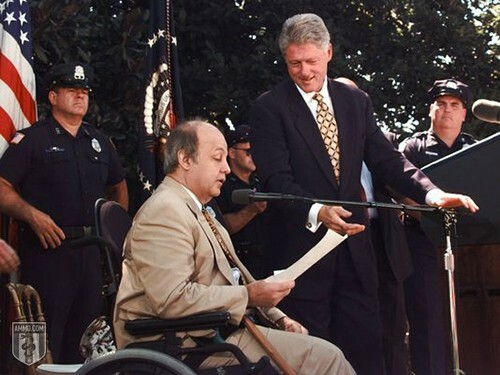 Hinckley’s first shot entered above Brady’s left eye and left the nation shaken by “The Bear’s” new role as a wheelchair-bound gun control advocate. Within 16 minutes of the incident, Hinckley’s gun – a .22-caliber Röhm RG-14 revolver – was traced to a Dallas pawn shop. Hinckley had no criminal or mental records at the time, but he did use an old Texas driver’s license and fake address. Mandating a five-day waiting period before a licensed dealer, manufacturer or importer can sell, deliver or transfer a handgun to an individual. Establishing a “national instant criminal background check system to be contacted by firearms dealers before the transfer of any firearm.” However, this provision applies only to states that don’t already have acceptable background checks for handgun purchasers. The National Instant Criminal Background Check System (NICS) Improvement Amendments Act of 2007, or NCIS Act, introduced conditional but optional financial incentives and grants for establishing or upgrading state reporting systems. Two notable events precipitated 1994’s assault weapons ban. First, a gunman using TEC-9 handguns with Hellfire trigger systems, a Norinco NP44, and both standard and hollow-point ammunition killed eight people and wounded six in 15 minutes in San Francisco’s 101 California Street skyscraper. The second was the siege of the Branch Davidian complex in Waco, Texas, a 51-day government standoff with a fiery ending that left 82 Branch Davidians and four ATF agents dead. More than 300 Davidian-owned firearms and nearly 2 million rounds of “cooked off” or spent ammunition included fully automatic AK-47 and AR-15 assault rifles, .50 caliber semi-automatic rifles and antitank armor-piercing ammunition. In answer, President Bill Clinton signed Congress’ Public Safety and Recreational Firearms Use Protection Act – Title XI of Public Law 103-322 or the Federal Assault Weapons Ban – “to make unlawful the transfer or possession of assault weapons” for 10 years. It prohibited the manufacture, sale and possession of specific types of semi-automatic firearms with military-style features and large-capacity magazines. This included many weapons with folding stocks, flash suppressors, barrels threaded for silencers and detachable magazines that held more than 10 rounds. However, pre-ban weapons were grandfathered, exempt from the new law. In the ensuing decade, the results of the ban on assault weapons did not align with the intent of the law. Cited by both sides of the gun control issue, An Updated Assessment of the Federal Assault Weapons Ban: Impacts on Gun Markets and Gun Violence 1994-2003, ultimately found that “Although the ban has been successful in reducing crimes with AWs [Assault Weapons], any benefits from this reduction are likely to have been outweighed by steady or rising use of non-banned semiautomatics with LCMs [large-capacity magazines], which are used in crime much more frequently than AWs.” While states like New York, Massachusetts and New Jersey retain their own assault weapon laws, attempts to re-introduce federal legislation banning assault weapons have been unsuccessful. 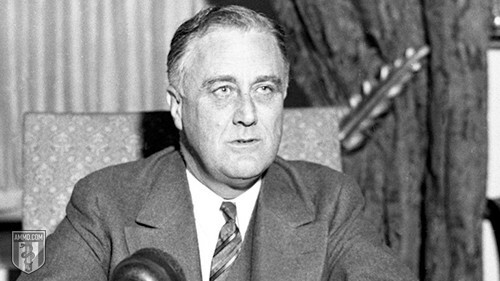 D.C. v. Heller was a highly debated landmark case that addressed disparities between local and federal law. At debate was whether a D.C. special policeman had the right to register and keep a handgun in his home without a trigger lock despite D.C.’s prohibition on handguns and unregistered firearms. District law also required that even registered weapons must be unloaded, disassembled or bound by a trigger lock. Heller maintained that he had the right to accessible self-defense in his home. 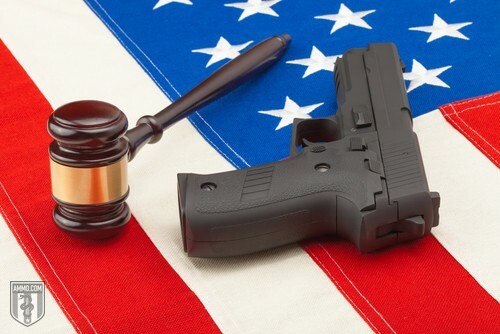 Despite dissenting opinions, the court ruled in his favor, acknowledging that handguns are common arms choices for “defense of self, family and property.” The court added that imposing a trigger lock requirement prevents ready self-defense and declared the condition unconstitutional. The District was instructed to allow Heller to register his gun and issue him a license to carry it in his home. This time, however, the plaintiffs based their argument on the Fourteenth Amendment – resolution to the Black Codes and guarantee for equal protection under the law – and its inclusion of Second Amendment rights. 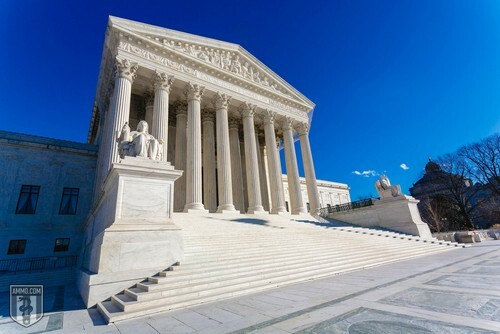 Once again, the Supreme Court ruled that private citizens retain their Second Amendment right to self-defense in their own homes regardless of locale or state and went on to confirm that the Fourteenth Amendment does in fact secure the Second. Gun control came back on the map in 2018, after public outrage became too much for Congress to handle. In their efforts to do something to placate the public, the government passed Fix NICS – a set of incentives to encourage local and state governments as well as federal agencies to share records with the federal government as a means of streamlining the background check process. Supporters of Fix NICS contended that these modifications would have prevented the Charleston Church and Sutherland Springs shootings, where both shooters, according to them, fell through the cracks of the NICS system. The NRA was in favor of Fix NICS while GOA was against the legislation, deeming it the largest gun control expansion at the federal level since the enactment of the Brady Act in 1993. Fix NICS was bundled into a must-pass spending bill in early 2018. Since Defense Distributed emerged as a player in the 3D-printable gun market, gun control advocates have wanted to ban these supposedly untraceable weapons. Aghast at the possibility of 3D-printable firearms hitting the streets, eight states led the charge against Defense Distributed. They started by petitioning a federal judge in Seattle to issue a temporary restraining order against the 3D printable firearm company before the State Department’s agreement went into effect. Connecticut, Maryland, Massachusetts, New Jersey, New York, Oregon, Pennsylvania, Washington, and even the District of Columbia got the ball rolling on this lawsuit. These states were soon joined by California, Colorado, Delaware, Hawaii, Illinois, Iowa, Minnesota, North Carolina, Rhode Island, Vermont, and Virginia in their lawsuit against the U.S. government, who had previously settled with Defense Distributed in order to allow the group to disseminate their files freely. The sudden state effort to put clamps on Defense Distributed’s 3D-printable gun program soon paid off when U.S. District Judge Robert Lasnik issued an injunction that blocked Defense Distributed’s plans to spread files for the printing of plastic weapons on the internet. This July 31st decision in Seattle effectively blocked the earlier settlement between the Trump Administration and Defense Distributed in which they were legally permitted to disseminate their files freely as of August 1st, 2018. The plot thickened for Defense Distributed after its legal drama with the government. In an unexpected turn of events, Defense Distributed’s founder, Cody Wilson, was charged in September for having relations with a minor who he met on a dating website. Straight out of an action movie script, Wilson bolted to Taipei, Taiwan, hoping that the country’s lack of an extradition treaty with the U.S. would provide him with refuge. However, Wilson’s desires to escape U.S. authorities were dashed when he was arrested by Taiwanese police and handed over to immigration authorities for deportation. Wilson would subsequently resign as CEO of Defense Distributed after being released on bail. The nationwide push for bump stock bans finally reached a tipping point at the end of 2018, when the federal government issued its own bump stock ban – trying to allay fears that it was not doing anything to address gun violence. Acting Attorney General Matthew Whitaker claimed that this move clarifies the existing federal law on the books. However, Reason magazine pointed out that the Trump Administration’s move to ban bump stocks effectively rewrites the law, a function that traditionally belongs to Congress. The Justice Department’s final ruling reclassifies “bump-stock devices” as “machine guns” under the National Firearms Act of 1934 and the Gun Control Act of 1968, based on how these “devices allow a shooter of a semiautomatic firearm to initiate a continuous firing cycle with a single pull of the trigger.” Americans in possession of bump stocks were given 90 days to destroy them or turn them in to the Bureau of Alcohol, Tobacco, Firearms, and Explosives. Critics argue that this change in the law was done in an unconstitutional manner and sets a precedent for arbitrary re-classifications in the future. Marco Rubio: Quick to demonstrate that he was willing to do something in the aftermath of the Parkland shooting, Marco Rubio threw his hat in the ring by sponsoring a red flag bill along with Democrat Senators Joe Manchin, Bill Nelson, and Jack Reed. Rick Scott: Florida’s new Senator Rick Scott has shown his willingness to compromise on gun control despite his ostensibly pro-gun rhetoric. Scott signed SB 7026, the largest expansion of gun control in Florida in recent history. Scott’s SB 7026 includes red flag provisions, raises the age to buy a firearm to 21, and mandates a three-day waiting period for all firearms purchases. The work of the Founding Fathers, the Second Amendment is uniquely American. They were men who had to fight for their freedom from tyranny, and who intended that the means for that fight should never be taken away from American citizens. Over the last two centuries, however, the United States and its people have sought to strike a balance between the rights guaranteed by the Second Amendment and the mayhem created by guns wielded by unhinged individuals. In that balancing act, outrage and fear have been powerful forces pushing some Americans to call for more firearm laws in order to keep guns out of the hands of criminals, assassins and terrorists. “Once let the black man get upon his person the brass letters, U.S., let him get an eagle on his button, and a musket on his shoulder, and bullets in his pockets, and there is no power on earth which can deny that he has earned the right to citizenship in the United States."